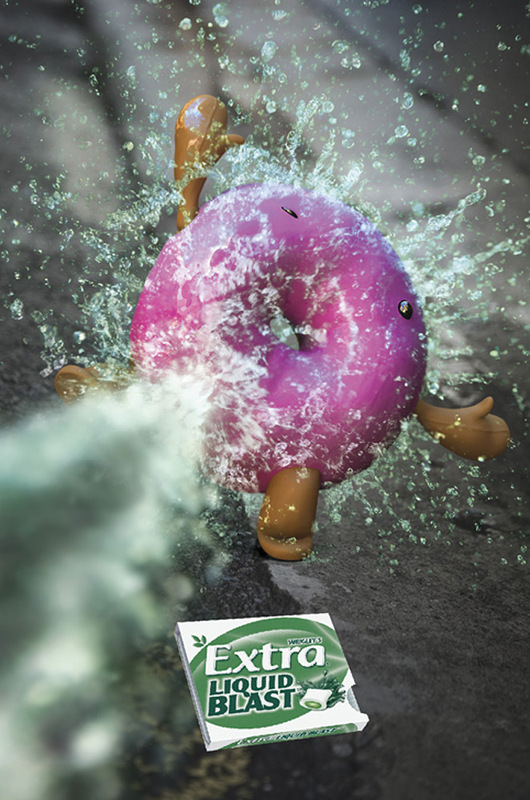 Wrigley’s continues the animated food series with a TV ad featuring a large banana on legs being swept away by the juices of Extra Liquid Blast. 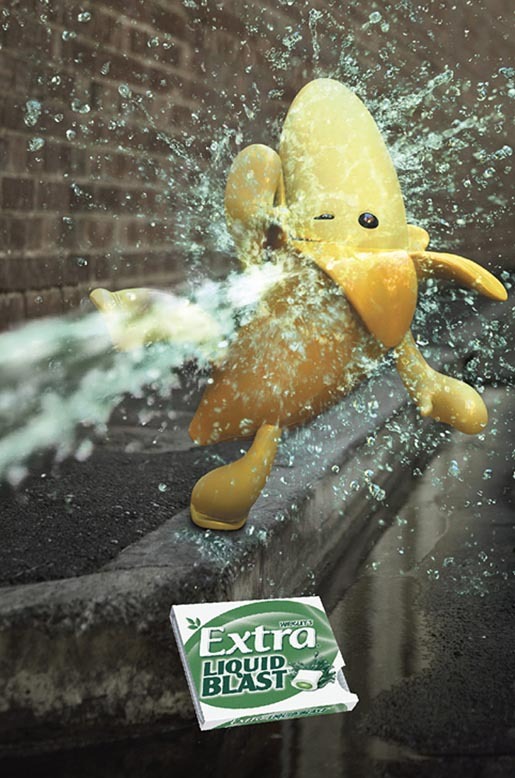 “Banana Bourne” presents the banana as the resister whose hopes of escape are dashed by the appearance of a human character eating Extra Liquid Blast gum. The television commercial has been accompanied by a print advertising campaign, which makes sense to those who have seen the ad. 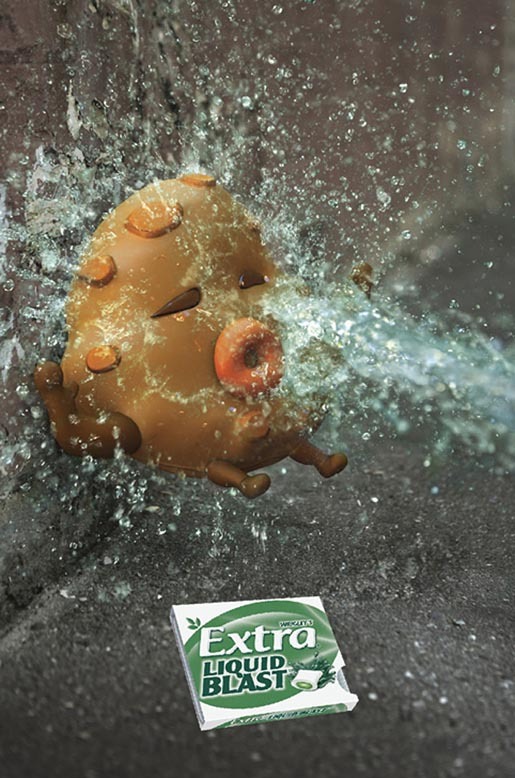 The Extra Liquid Blast ad was developed at DDB Sydney by executive creative director Matt Eastwood, senior art directors/copywriters Antony Simmons and Alexander Wadelton (NT & Alex), and agency producer Kristy Fransen. Filming was shot by Nick Robertson via Plaza Films with producer Kim Kirby. Post production and VFX were produced at Fuel. Editing was done at The Tait Gallery. Sound and music were produced at Sonar Music by composer Antony Partos and sound designer/mixer Wes Chew.